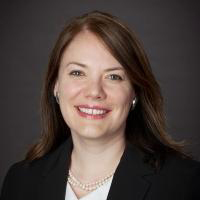 Holly Welch Stubbing is Executive Vice President and In-House Counsel at Foundation For The Carolinas in Charlotte, North Carolina. In this role, she oversees the Foundation’s business development, strategic planning, product development and legal affairs functions as well as the Foundation’s $1B investment portfolio. Holly currently serves as Chair of the Planned Giving Advisory Council at Queens University and as Treasurer of the ecoAmerica Board of Directors. Holly serves on the Board of Directors of The Philanthropic Collaborative, the North Carolina Dance Theatre, the Wake Forest Charlotte Club Committee and as a past Advisory Board member of the NC Governor’s Conference for Women. She also serves or has served on several relevant professional committees in the philanthropic field, including the Council on Foundation’s Legal & Regulatory Action Committee, the Legislative Committee for the Southeastern Council on Foundations, and the Public Policy Committee of the North Carolina Network of Grantmakers. Holly is a member of the North Carolina and Tennessee Bar Associations and Charlotte Women Executives. Prior to joining Foundation For The Carolinas in 1998, Holly directed the planned giving and development functions at the East Tennessee Foundation in her hometown of Knoxville, Tennessee. Holly holds a B.A. from Wake Forest University and a J.D. from the University of Dayton School of Law.